Abdulmalik Ahmed & Co is a firm of chartered accountants and financial advisors, licensed by the Institute of Chartered Accountants of Nigeria and registered by the Corporate Affairs Commission to practise Accountancy, Auditing, Taxation and Consultancy. The vision of the firm is to be a leading provider of audit, accountancy and tax services while its mission is to consistently employ best practices and the highest professional and ethical standards to achieve its vision. Our Partners, besides being educated in renowned Institutions in Nigeria and abroad, have been trained by reputable International Accounting and Consulting Firms such as KPMG, Deloitte and Akintola Williams & Co., and Ernst & Whinney. Alhaji Abdulmalik Ahmed, B.Sc (Hons), FCA is the Principal Partner. A graduate of the University of Benin, Benin City, he is also a Fellow of the Institute of Chartered Accountants of Nigeria (ICAN). He brings into the Firm over two decades of professional experience spanning Banking, Accountancy, Management Consultancy and Taxation practise, acquired from such reputable organisations as KPMG PEAT MARWICK (Chartered Accountants), former All States Trust Bank Plc (now Ecobank Plc), Standard Trust Bank Plc (now UBA PLC), Finbank Plc and Spring Bank Plc (now Enterprise Bank PLC) in all of which he held various responsible and senior management positions. At Peat Marwick, Alhaji Abdulmalik actively participated in the audit of some blue chip companies such as Mobil Producing Unlimited, Total Plc, Costain (WA) Plc, First Bank Plc, NNPC, Tower Aluminium Company Limited, West Africa Milk company Plc, etc. and was a leading member of the team that was appointed to liquidate the Nigeria Bank for Commerce and Industries (NBCI), and Nigeria Industrial Development Bank (NIDB) and merge their operations into the Bank of Industry (BOI). 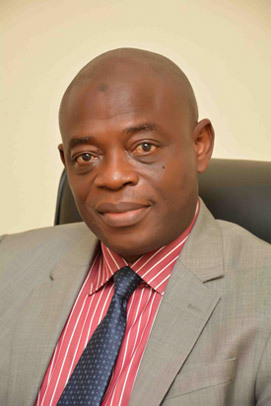 He was also, at various times Deputy Chief Inspector (All states Trust Bank Plc), Operations Manager, Branch Manager (including pioneering branches of All States Trust Bank Plc and Standard Trust Bank Plc, respectively in Jos), Group Head, Public Sector, Regional Manager and Divisional Head, respectively during his illustrious banking career.